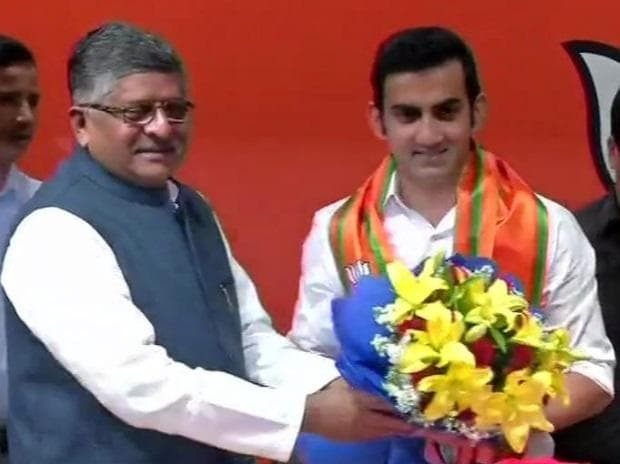 Former international cricketer Gautam Gambhir Friday joined the BJP and is expected to be fielded by the party in the Lok Sabha polls from one of the seats in the national capital. The former opening batsman joined the party here in the presence of Union ministers Arun Jaitley and Ravi Shankar Prasad. Gambhir played a key role in India's triumph in the 2011 World Cup and the 2007 T-20 World Cup.